“Libraries are a central learning hub where any and all can come and learn. They are using their multiple resources and many years of experience to support summer learning interests of diverse learners and all ages." As the last bell rings on the final day of school, students become carefree. Opportunities await as their backpacks and pencils are set aside – its summer – the time we all wished for as kids and remember with nostalgia as adults. While we all remember summer fondly, it can be a time where students’ education achievement is impeded. Research has shown that decreased learning opportunities during the summer cause what is referred to as a “summer slide,” which widens the achievement gap, especially for those in low-income households. The “summer slide” and the absence of meaningful learning opportunities during summer vacation have traditionally been addressed through summer reading programs. 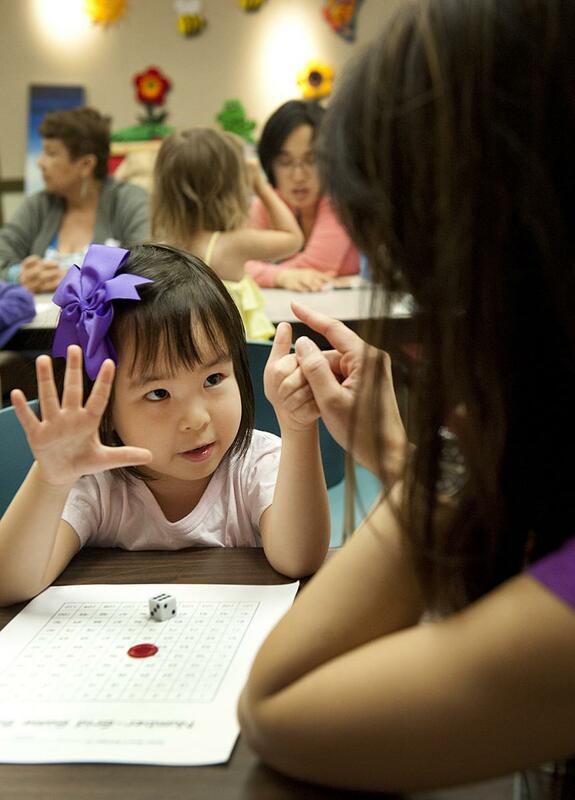 But public libraries’ summer programs are evolving to include multiple and diverse learning opportunities. Some of these program models, such as Summer Reading PLUS, enhance traditional, incentive-based summer reading programs by awarding credits and prizes for participation in STEM and maker learning opportunities and other inquiry-based activities. The model recognizes that traditional summer reading programs may reward children who easily reach specific benchmarks while struggling readers fall through the cracks despite their commitment to the program. 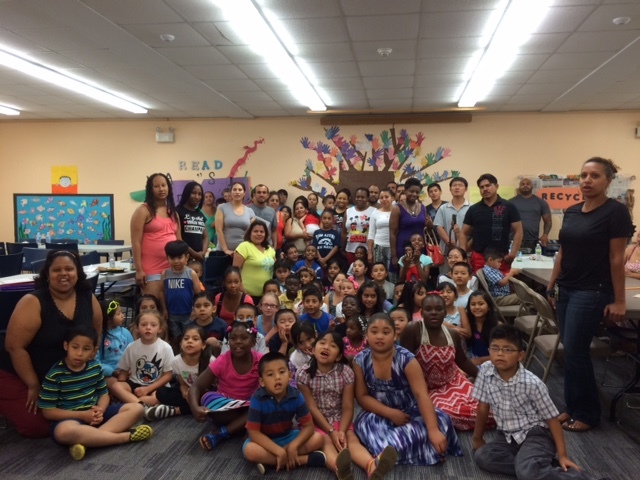 For example, Saint Paul Public Library in St. Paul, Minnesota, developed the Summer Spark! program, which invites participants to earn points toward prizes for reading and completing learning activities at the library, at home, or in the community. With its colorful reading and activity log featuring check boxes for such activities as, “Make a card and mail it,” “Measure the rain,” “Plan an imaginary trip,” and “write a poem,” the program not only reinforces literacy skills, it encourages skills in additional areas in ways that may appeal to more young learners. A challenge faced by many libraries is designing programs that do not look, feel, or sound like school and are flexible so that participants can drop into classes based on time availability rather than required enrollment. Accelerate Summer found that libraries, such as the Chicago Public Library, are particularly experienced at offering productive drop-in and self-directed summer learning experiences with learning goals. 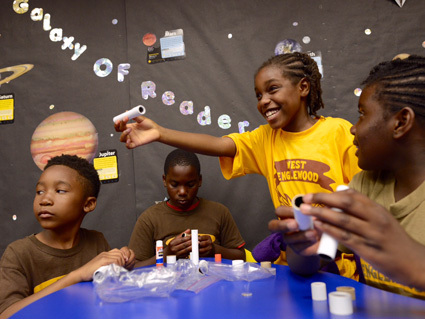 Chicago Public Library’s Rahm’s Readers Summer Learning Challenge designs its summer learning program around the framework for 21st Century Learning Skills and incorporates three STEAM/STEM learning tracks through a unique partnership with the Museum of Science and Industry. The program, which had demonstrated success in reaching low-income families and accelerating academic achievement for Chicago’s kids, recently received NSLA’s first-ever Founder’s Award for Excellence in Summer Learning. With focused-enrollment programs, libraries like those of the New Haven Free Public Library and the New York Public Library, address specific learning outcomes such as early literacy and grade-level reading, and target low-income youth and families to bridge the summer gap. 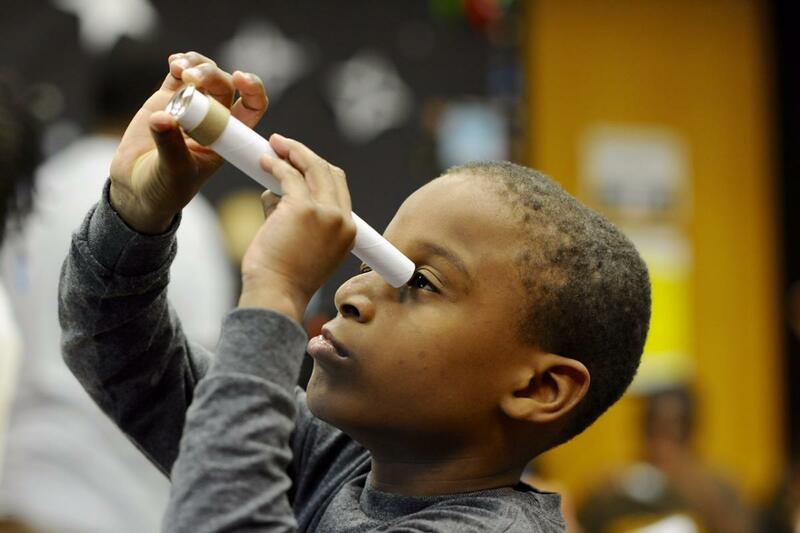 The New Haven Free Public Library in New Haven, Connecticut, works with their local schools to identify struggling kindergarten through third-grade readers and enrolls those students in their READy for Grade summer learning program. The program provides twice -weekly tutoring sessions and weekly family nights with dinner to create a fine-tuned approach for reaching their community’s most at-risk kids. Summer learning programs are significantly strengthened when they are shaped around broader community learning goals. 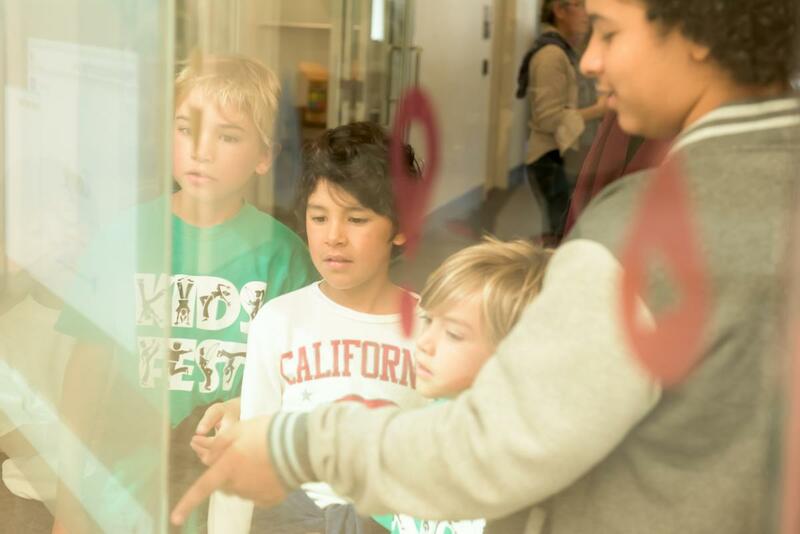 In establishing local partnerships, libraries are able to reach children who may not have been engaged with the library and its programs otherwise. Examples include supplementing parks and recreation summer camps with the local library’s summer learning activities and engaging middle-and high-school volunteers to help plan and implement programs, which in turn readies them for the workforce. 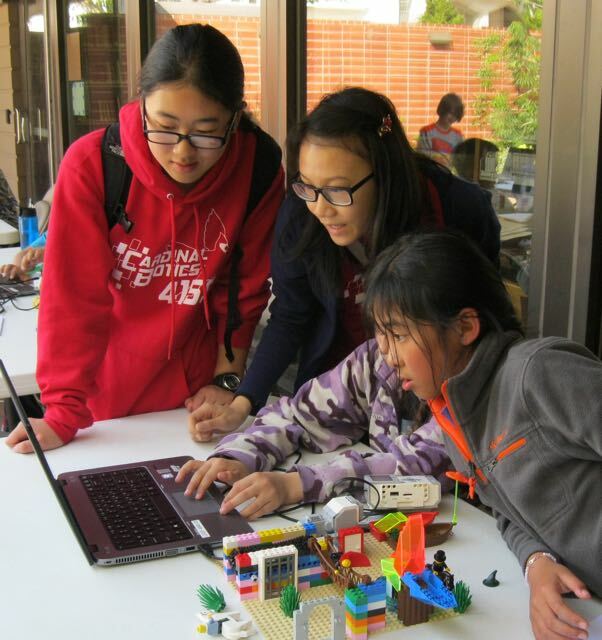 Leveraging these local connections drives the impact of the summer learning program and further establishes the library as the central hub for learning and discovery. As the summer learning movement builds, the Accelerate Summer team is working on an online toolkit for libraries across the country to help them replicate best practices when implementing their own summer learning programs. With additional funding from IMLS, the team also collaborated with the Metropolitan Group in establishing a National Forum, which helped libraries identify methods to assess the effectiveness of their summer learning programs in addressing the summer slide and where they are making the biggest difference in their communities.